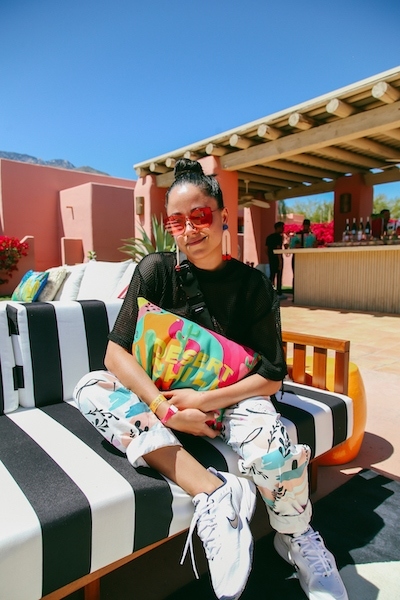 This weekend marked the start of Coachella, and the socially influential multi-media artist, D'ana Nunez of COVL, (*short for Craft Onward Versatility and Lifestyle), was tapped as Art Director for Instagram's first ever Coachella house, #IGxDesertChill, which took place over Weekend 1 and ensured the most photo-ready venue of the festival! Saturday's Instagram event included performances by @SnohAalegra, @Omar.Apollo, and @HarryHudson, with DJ sets by @SimiHaze and @SiobhanBell. Attendees enjoyed a scent bar + festival essentials station where they had D'ana's artwork on takeaway goods like fans, shareable, stickers, water pouches and more! D'ana's colorful designs lent well to the overall look and feel of the space, making it a perfectly photo-ready, vibrant yet relaxing getaway from the usual festival frenzy. 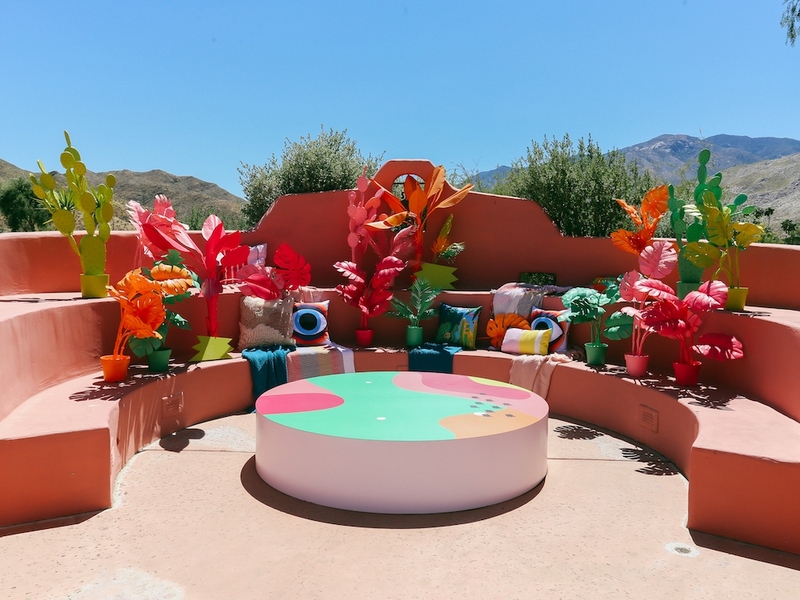 2019 is Instagram's first foray into a branded house at Coachella, and while we see many other brands events, Instagram’s decision to tap into their vast network of creators and work with COVL to put together something special made it a one-of-a-kind weekend experience.